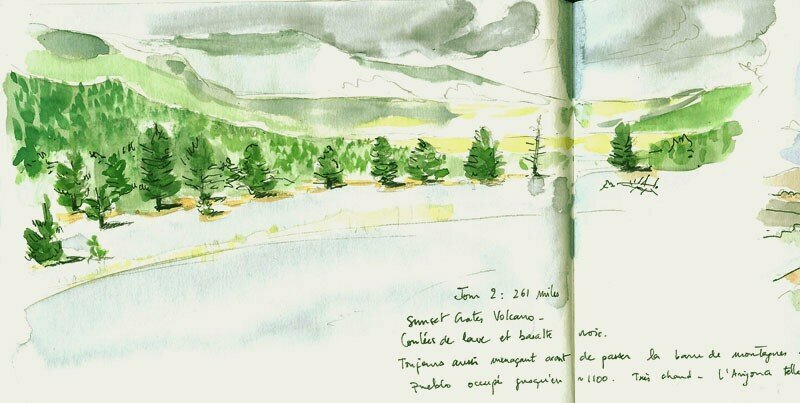 Un blog de dessins, observations, carnets. 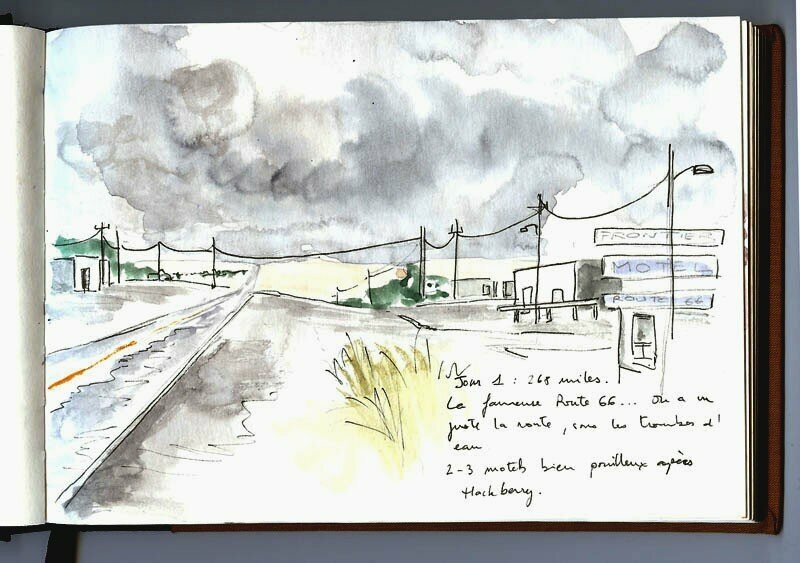 Une invitation au voyage, paysages urbains ou pas, portraits, aux USA et ailleurs. Donc, suite a ce petit mois de non-post, comment revenir? Arrivee a Canyonlands, magnifique parc naturel (le plus beau? ), avec flore et mineral. 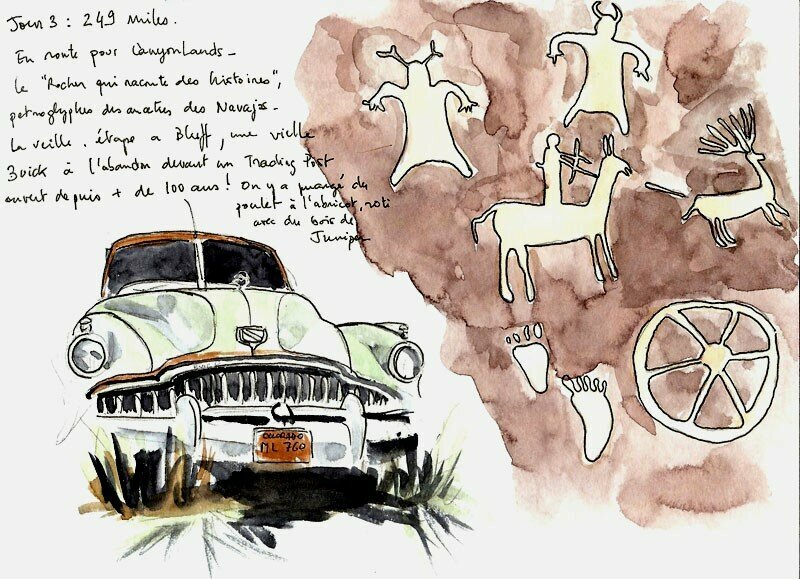 D'ailleurs j'avais dessine la fleur du cactus precedent la figue. It's been so long, I don't know how to make my come back! 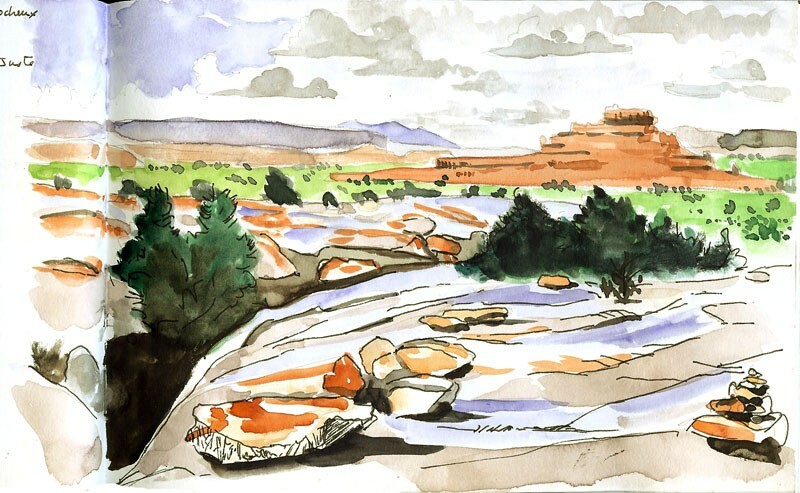 Canyonlands, maybe the ultimate national park? 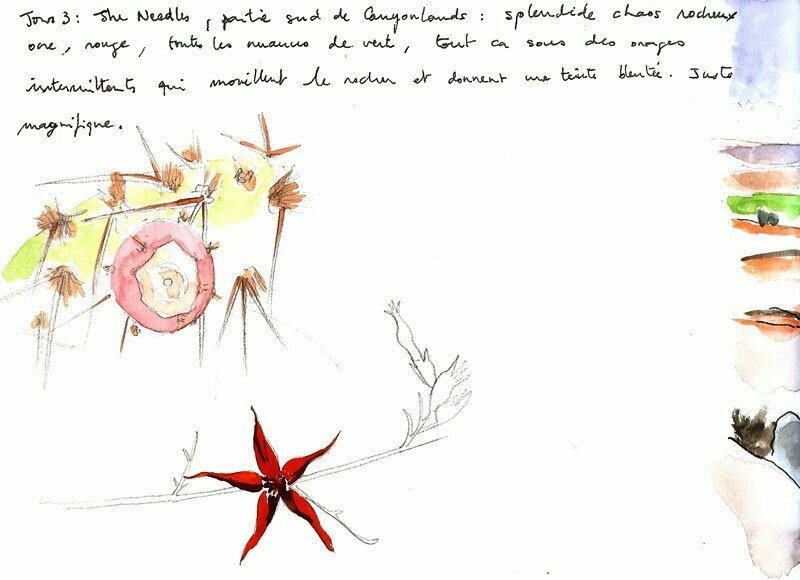 A cactus fruit, following the drawing of the flower I made a few years ago. 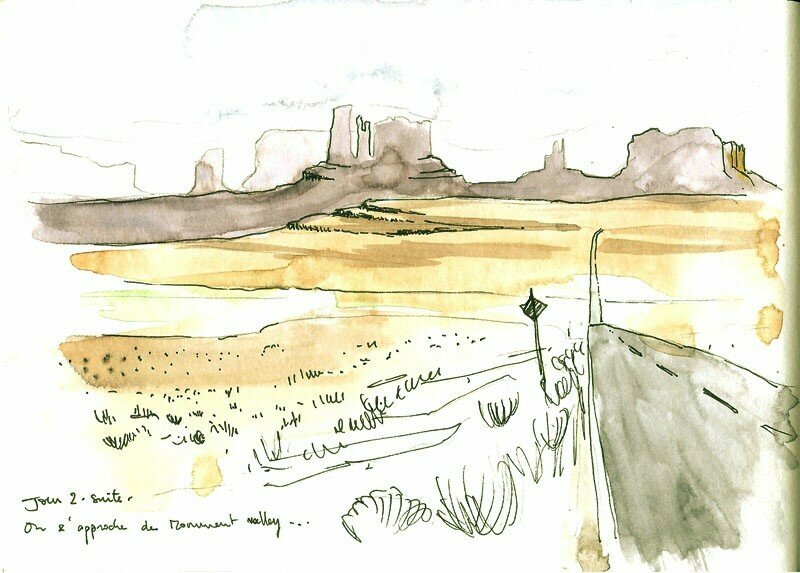 Poursuite du voyage a travers l'Arizona et les decors de cinema de Monument Valley. A couper le souffle. Et puis le plaisir de la conduite sur ces routes perdues au milieu d'espaces infinis, grandiose! Ensuite arrivee en Utah avec une etape a Bluff, tout petit village ou l'on trouve des vieilles Buick au repos, et un resto dans un ancien trading post tenus par des indiens. Bien sympathique. Enfin, le Newspaper Rock pres de l'entree de Canyonlands National Park. En gros des graffitis indiens graves dans la roche rouge depuis des millenaires. Heading north through Arizona and its amazing landscape near Monument Valley. Breathtaking, and the driving on these roads in the middle of nowhere is just awesome! Then a halt in Bluff, small town of southern Utah, where you can see old cars such as this Buick, and also a great restaurant owned by native americans in an old trading post. Finally Newspaper Rock near the entry of Canyonlands. A rock engraved by native americans for thousands of years. Un bonus aujourd'hui, parceque c'est un peu la teuf quand meme hein. Un detail d'un dessin pour mon frangin. Comme je sais pas trop s'il va l'utiliser, je vous mais un morceau. On voit quand meme bien que c'est un transport routier senegalais en panne non? 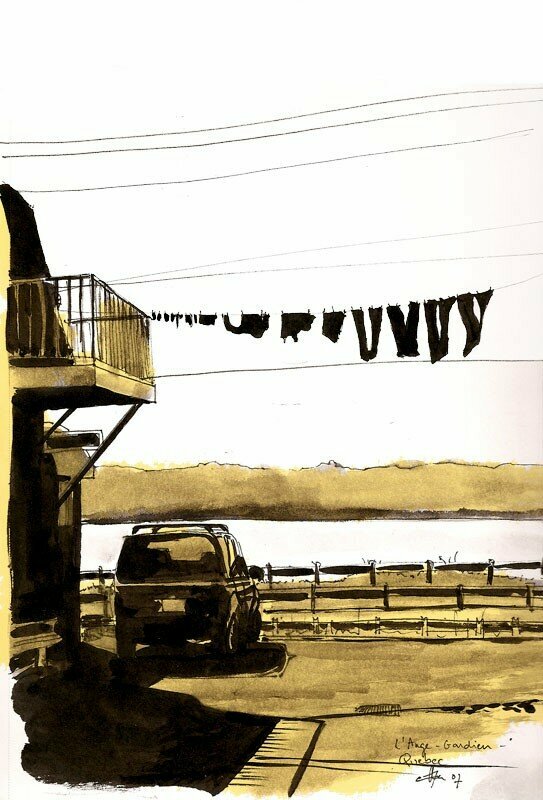 Two drawings today, lucky you!. It part of a bigger drawing I realized for my brother. Since he might use it, I don't want to put the entire drawing. We can still see what it is: an old crappy truck on a dirty track in Senegal. Je reprends le voyage la ou je l'ai laisse la derniere fois, a savoir en Arizona. Second day of the trip, in Arizona. First the Sunset Crater Volcano State Park, with black sand from lava on the edge of a crater. 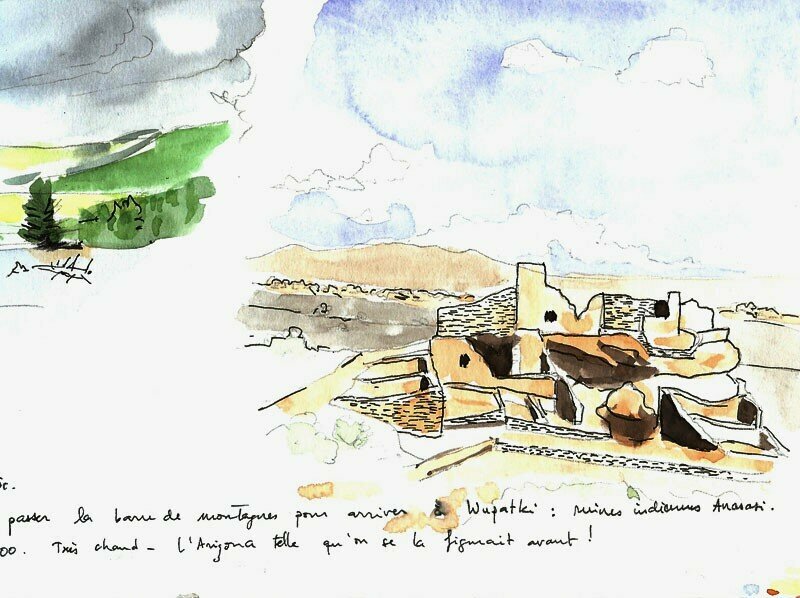 Then Arizona as we know it usually: desert, and the Wupatki ruins, a place built by Anasazis (circa 1100), the ancestors of Navajo people. According to the rangers, the Anasazis settled a few miles from Sunset Crater Volcano State Park when they saw the last eruption of the volcanoes. They probably enjoyed the fireworks and stayed there, waiting for another! Ben voila, mes 2 ans et demi aux US sont derriere moi, je suis rentre en France il y a 10 jours. Notre master en poche, on est parti sur la route (Marine et moi), pour faire un voyage dans l'ouest. Plus de 6000 km (en Toyota Prius pour les ecolos!) a travers des paysages de fous! Et puis si ca vous suffit pas, il y a des fantastiques photos chez Marine. My experience in the US is over! After almost 3 years, I am back in France. 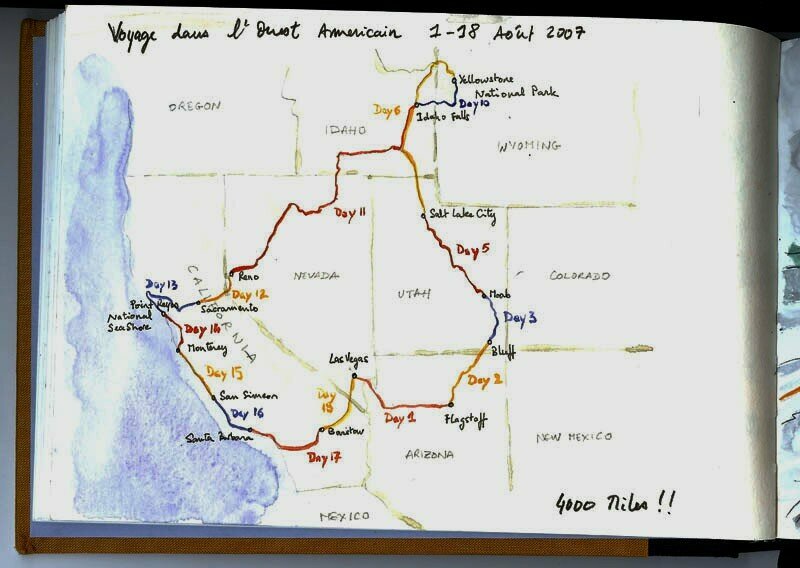 Before we left (Marine and I), we made a roadtrip in the West. About 4000 miles (we drove an environment-almost-friendly Toyota Prius) through the most amazing landscapes. And if you need more, find the wonderful pictures on Marine's blog. Mon inspiration est exclusivement newyorkaise. Elle sera bientot (dans un bon mois quand meme) ouest americaine. Donc en attendant, un petit croquis de l'etroit Flat Iron Building, a New York bien entendu. These days my inspiration is set on New York City. In a month or so, it will shift toward the West. 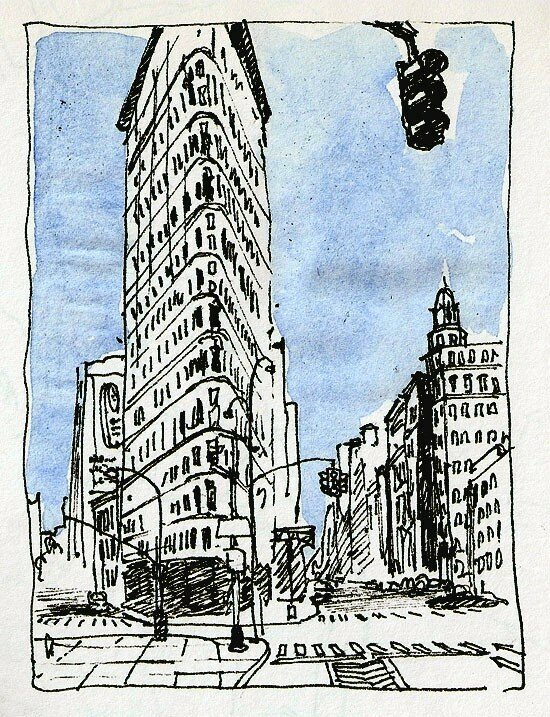 In the meantime, a drawing of the very flat Flat Iron Building. Un dessin tous les mois, c'est pas mal. 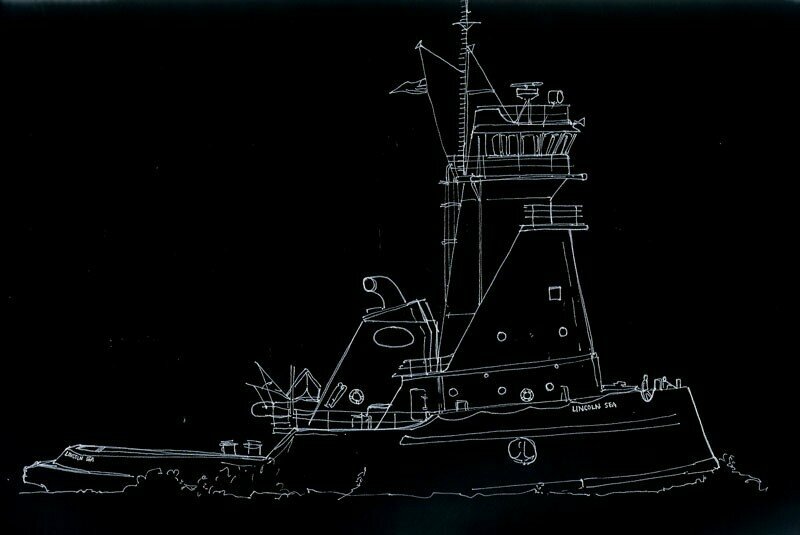 Ci dessous un tug boat (remorqueur), apercu au large de New York, tout pres de Staten Island. Si vous avez de bons yeux, a l'avant il y a deux petits bonshommes qui vous donnent l'echelle. C'est enorme comme bateau, un gros sabot flottant (demain je vous mets la version couleur). 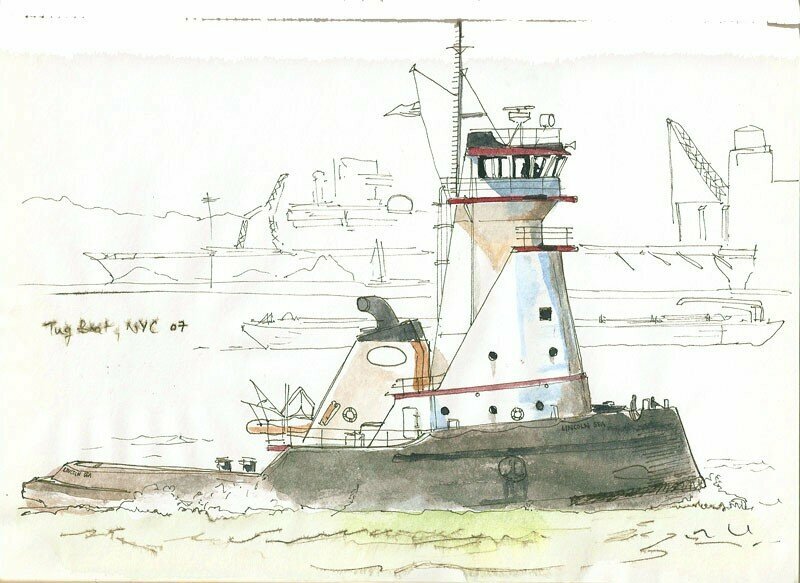 A tug boat off New York City shore (Staten Island actually). You can see two guys ont the prow, showing how huge is this boat. It looks like a big fat floating shoe (I'll post the color version tomorrow). 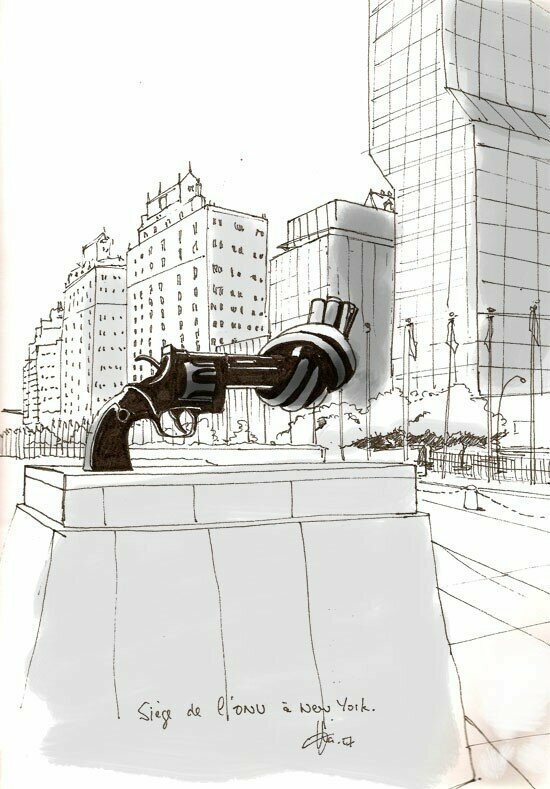 Sculpture de Carl Fredrik Reuterswärd sur le parvis du siege de l'ONU a New York. A sculpture by Carl Fredrik Reuterswärd in front of UN headquarters in New York City.